Learn how to create beautiful and understated decorative stitching motifs. 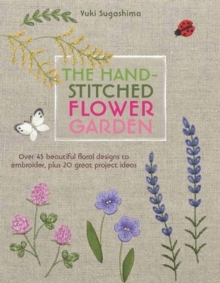 The designs feature surface and dimensional stitches and bead embroidery; with motifs inspired by nature ranging from roses, sunflowers, asters and daisies to little bumblebees, ladybugs and dragonflies. All 20 projects include step-by-step instructions and actual size templates. Learn how to make brooches, small bags and purses, cushion covers, picture frames and more. The variety of motif combinations will keep you stitching all year round.